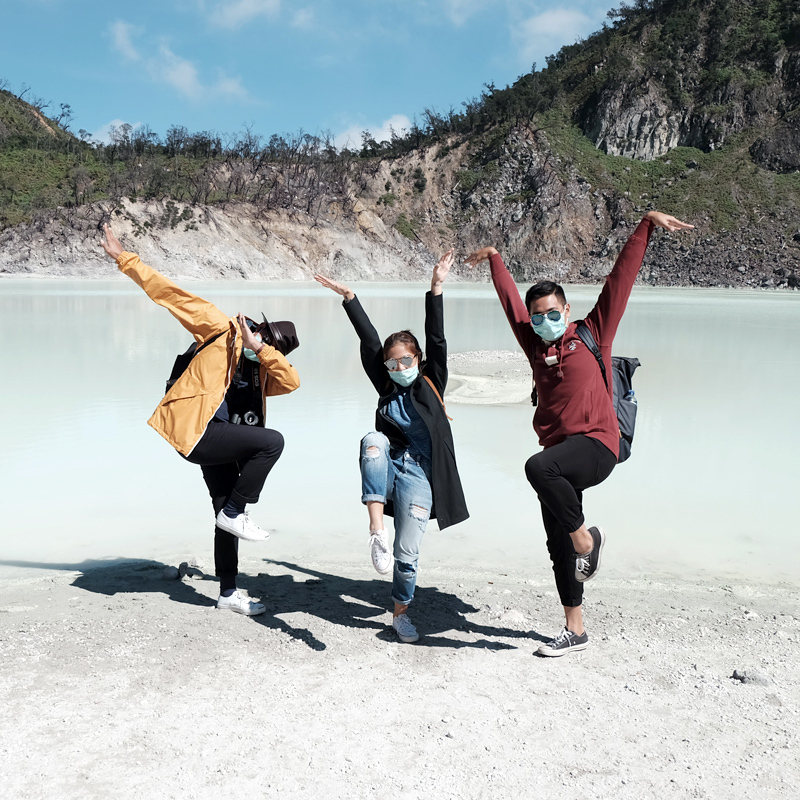 Home to over 17,000 islands and also Southeast Asia's biggest country, the landscape is diverse and full of wonderful surprises! 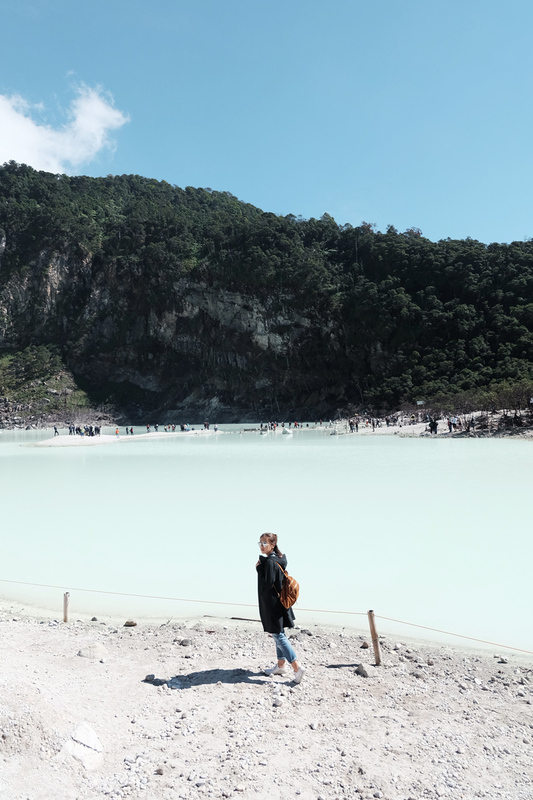 During my 2 week trek across the archipelago, I was able to visit Jakarta, Lombok, Bandung, Gili, Makassar and several others but my favorite destination remains to be Java and its magnificent collection of volcanoes! 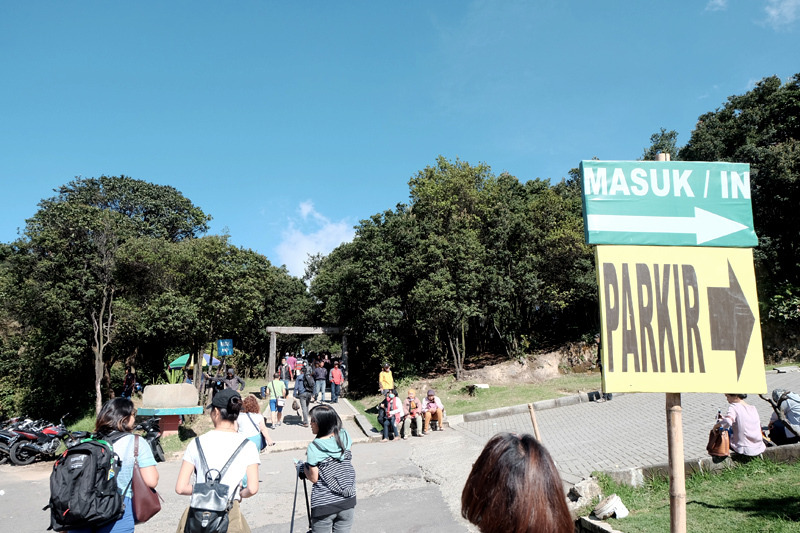 While there, I was able to visit Mt. 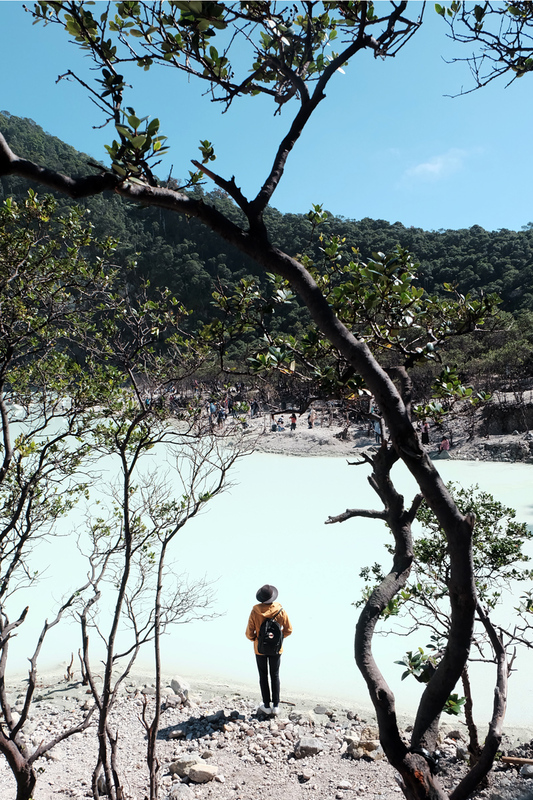 Ijen (read more about it here) and Mount Patuha's Kawah Putih - a tourist friendly sulfur lake because it doesn't require a tedious hike! 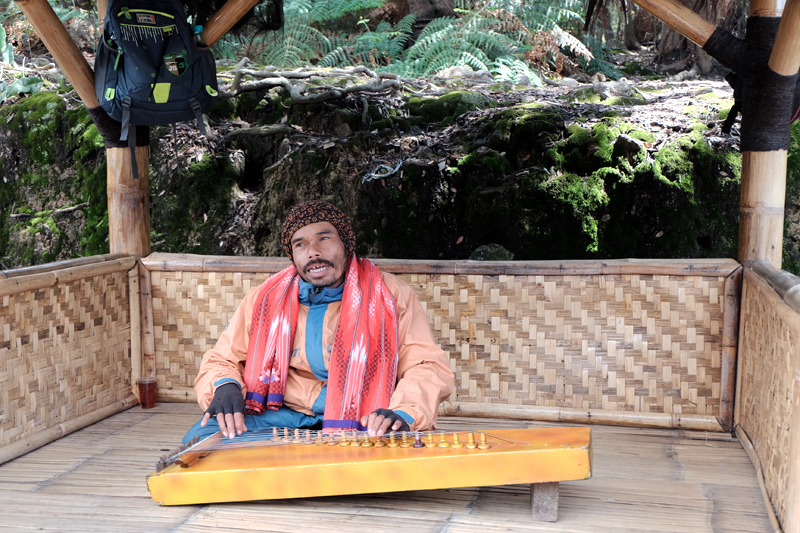 Anyone can visit and enjoy the beauty of of it's fairy tale-like surroundings. 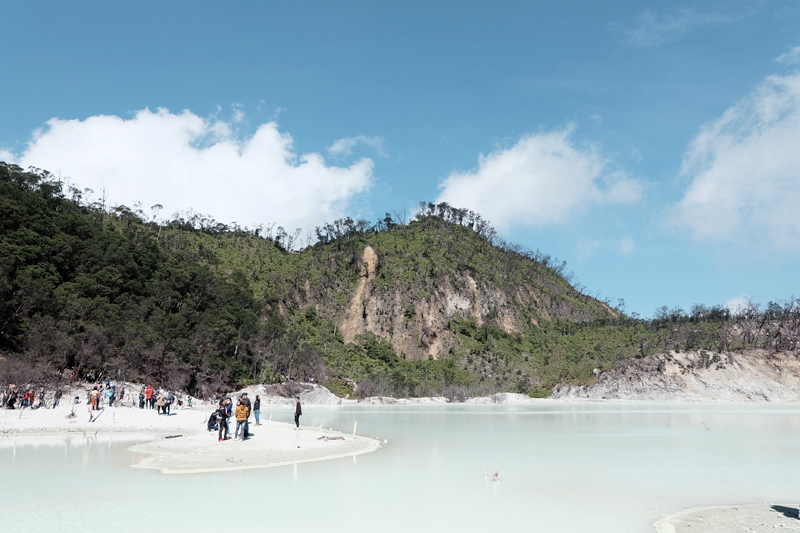 Kawah Putih is located 2 hours away from the center of Bandung and can be reached via public transportion from Terminal Kebun Kelapa as well as Leuwi Panjang in Bandung. 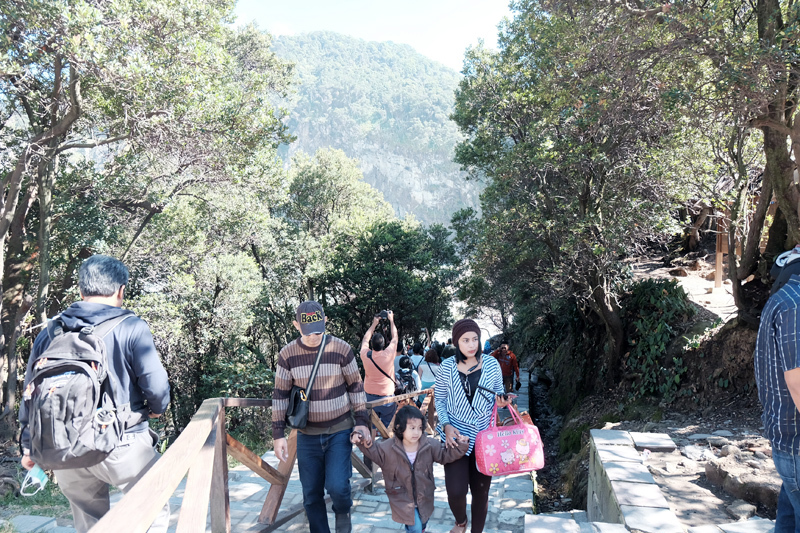 Head first to Ciwidey then proceed using local transportation heading for Situ Patenggan. 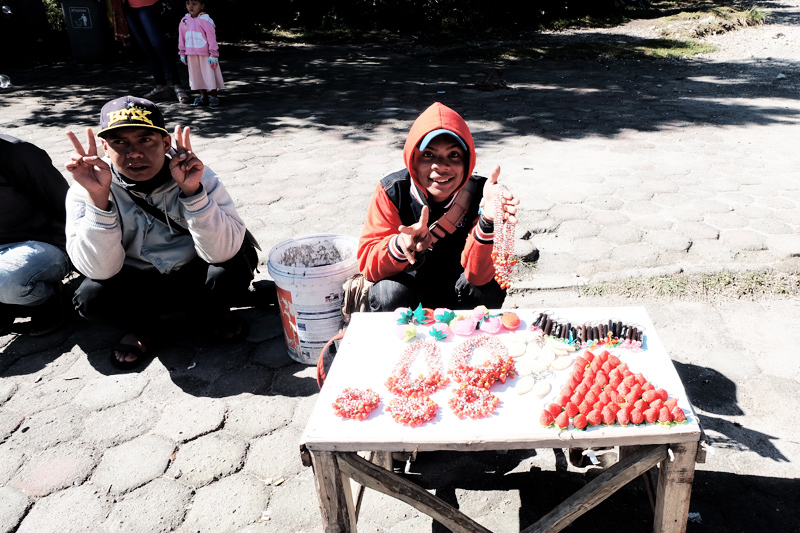 I LOVE BANDUNG! 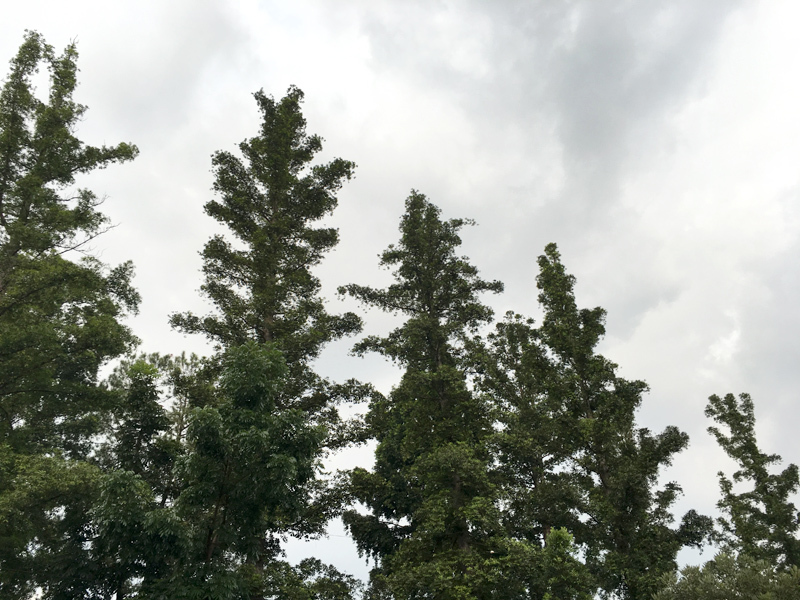 The weather is pleasant and cool...around 16 ° to 25 ° celsius while I was there. 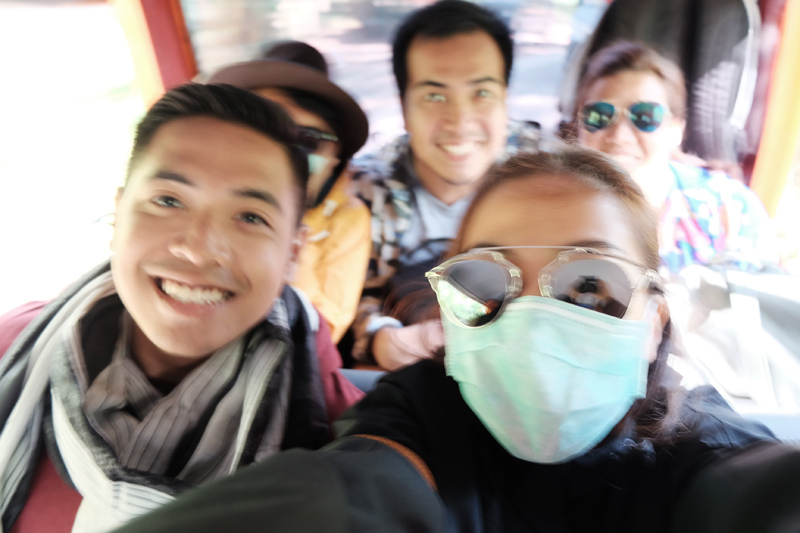 It's like a cross between Baguio and San Francisco. 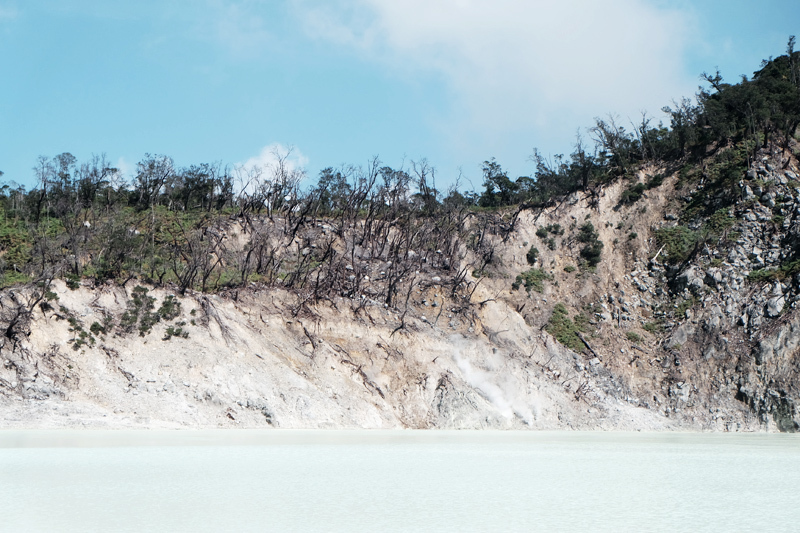 To get to the crater, locals need to pay around $1, tourists, $2. Parking is $12 if you wish to take your vehicle all the way up to the parking area near the lake. 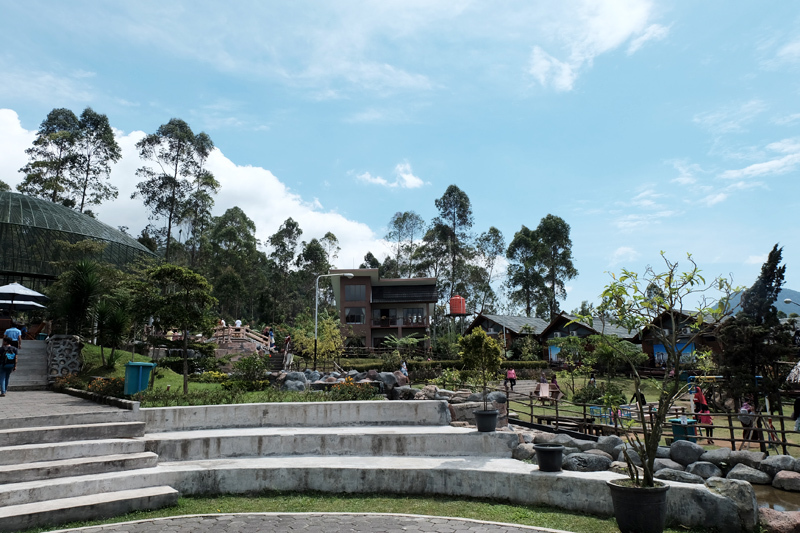 Or save money and take an Ontang-Anting all the way to the top for just another dollar...It's an adventure in itself, loads of fun and safe too. 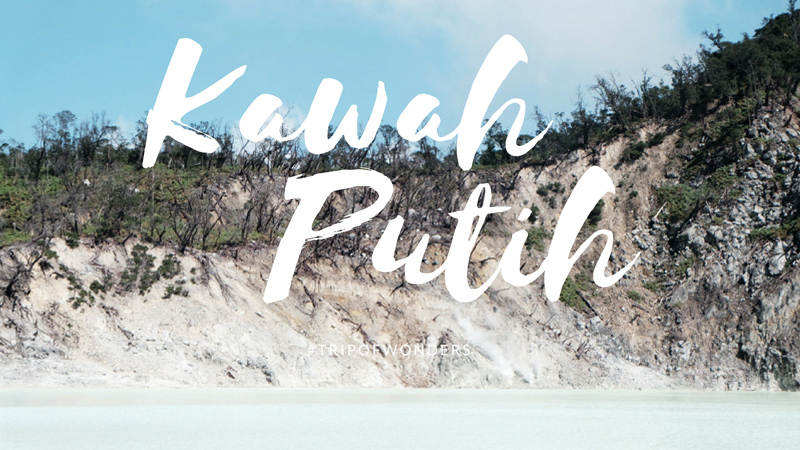 ☞ HERE'S 10 AWESOME THINGS TO DO AT KAWAH PUTIH! 1. 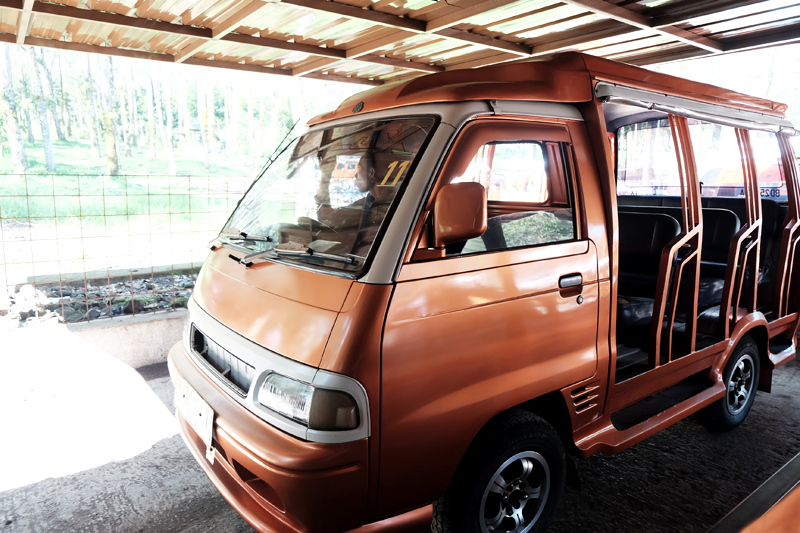 RIDE AN "ONTANG-ANTING" FOR JUST $1 AND GO ON A CRAZY RIDE THROUGH THE MOUNTAIN'S ZIG ZAG ROADS! Make sure to hold on tight and enjoy the scenery!!! Things can get quite bumpy! 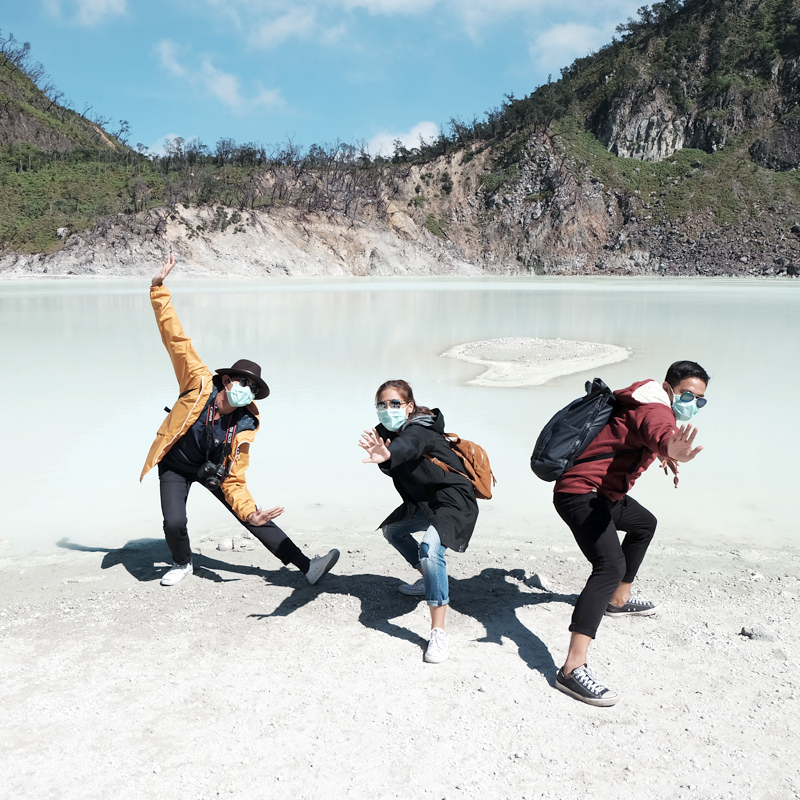 Purchase some bubbles for great photos at the crater lake! Strawberry farming is as popular here as Baguio so there's loads of variations of them to choose from. Real fruit, necklaces, keychains, etc. 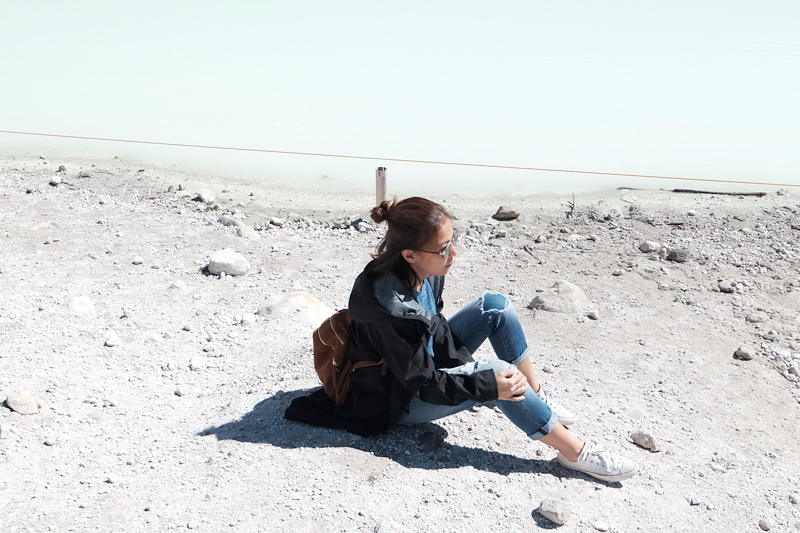 No dirty ice cream or strawberry taho to be found here here though. 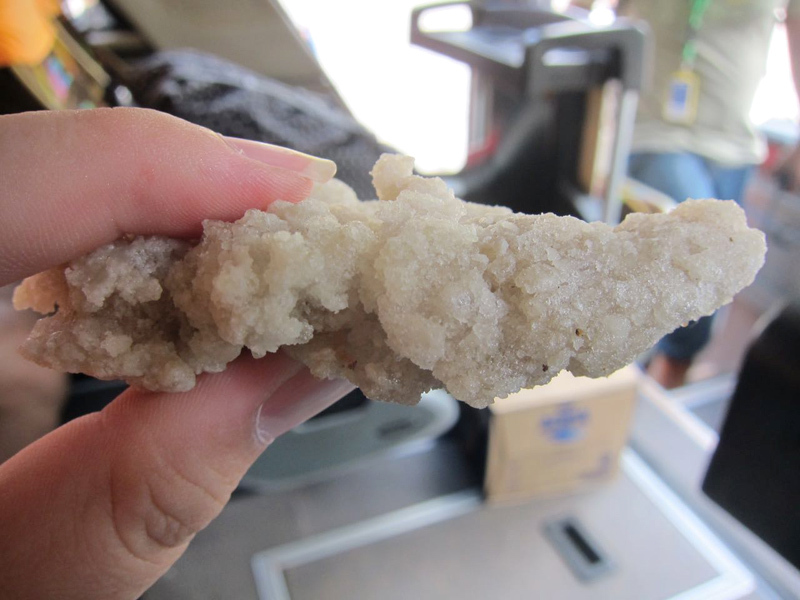 You can also get some sulfur stones to take home for just a few pennies. 3. GET HITCHED IN THE MIDDLE OF THIS ENCHANTING FOREST! While I was up there, there was a wedding going on. Not sure if you can make it out in the photo below, I didn't want to move in any closer to respect the couples privacy. Gorgeous place to tie the knot though! 5. 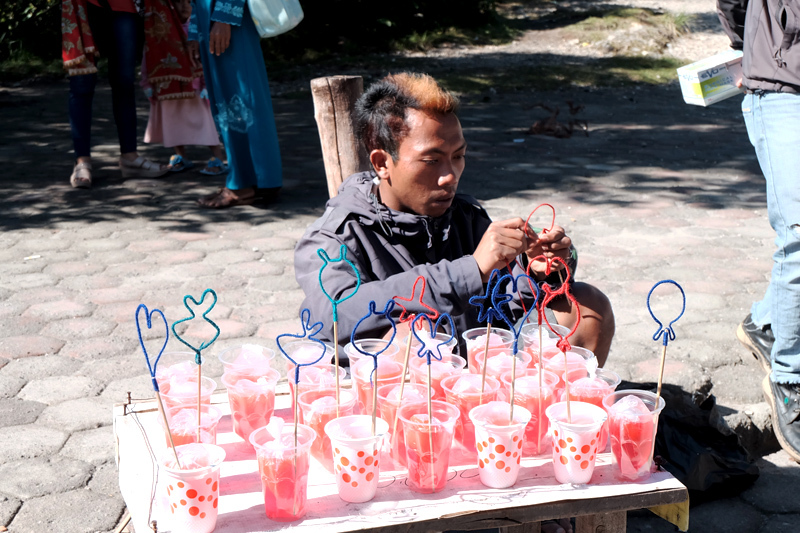 HAVE YOUR FILL OF DELICIOUS INDONESIAN STREET FOOD! 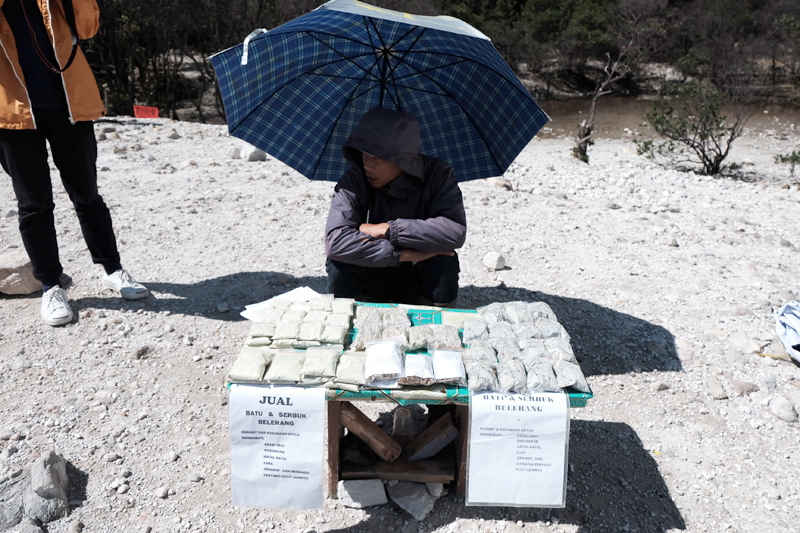 For just a few cents, have some Cireng! It's like a chewy version of Kropek! 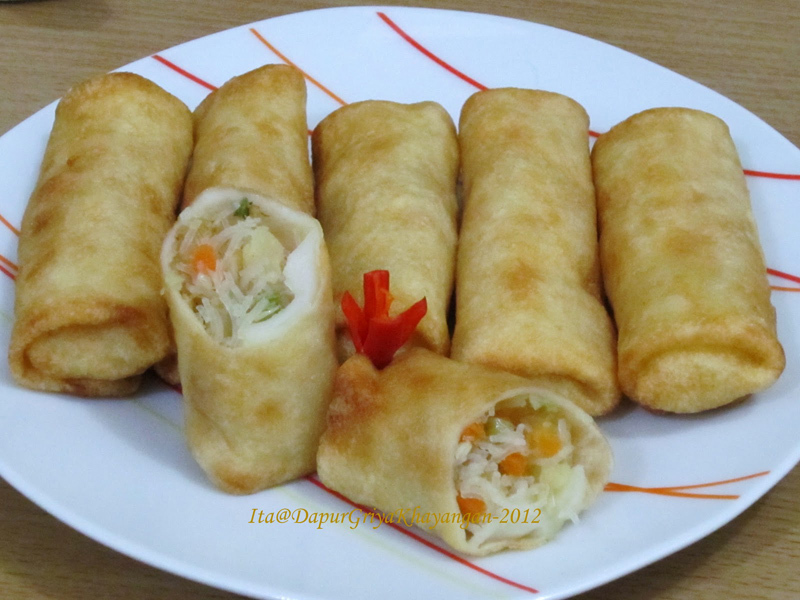 Or some Risol, like spring rolls with noodles inside (nothing like the vietnamese version), these are a bit more decadent. 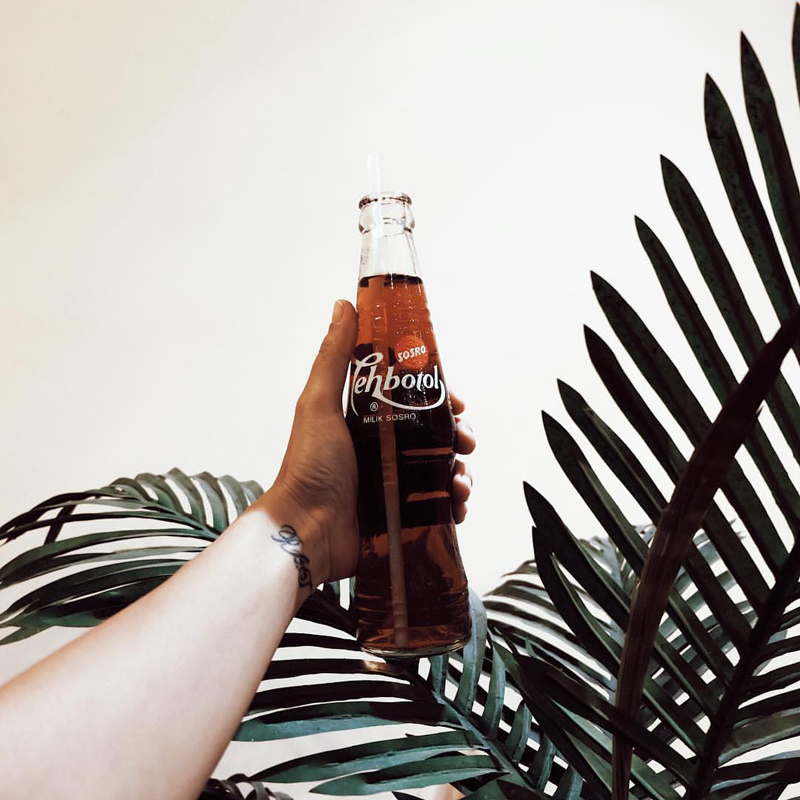 Make sure to wash it down with an ice-cold bottle of SOSRO Teh Botol! ***my absolute number 1 favorite thing to have in Indonesia. 7. OR HAVE FUN WITH YOUR GAS MASKS AND BE NINJAS FOR A DAY!!! CLICK PLAY! CLICK PLAY! CLICK PLAY! 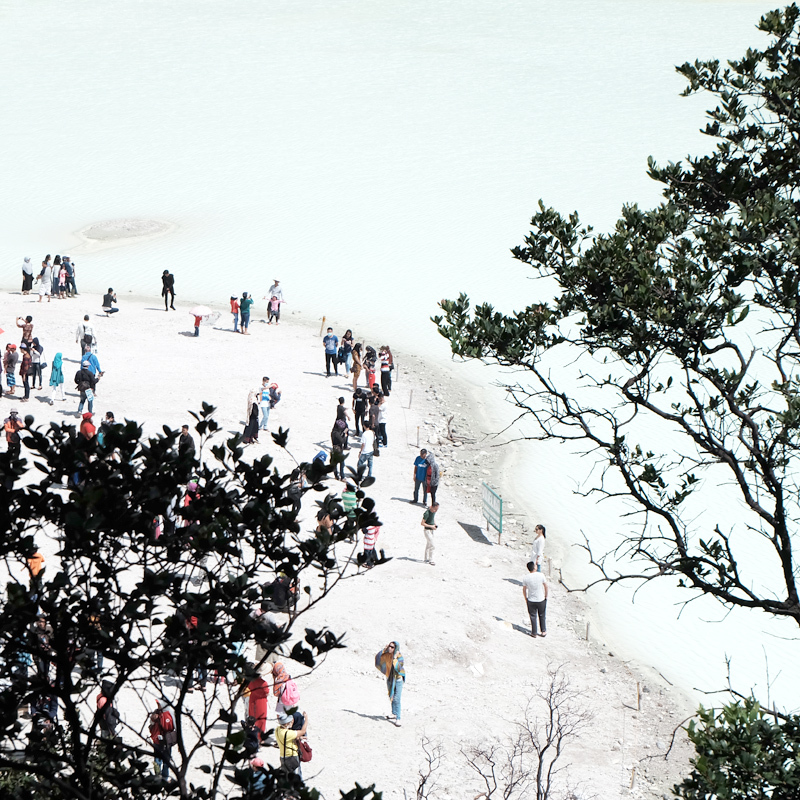 DID YOU KNOW: That for the longest time, locals avoided Kawah Putih and thought the place was hunted because many birds die while traversing the white crater. 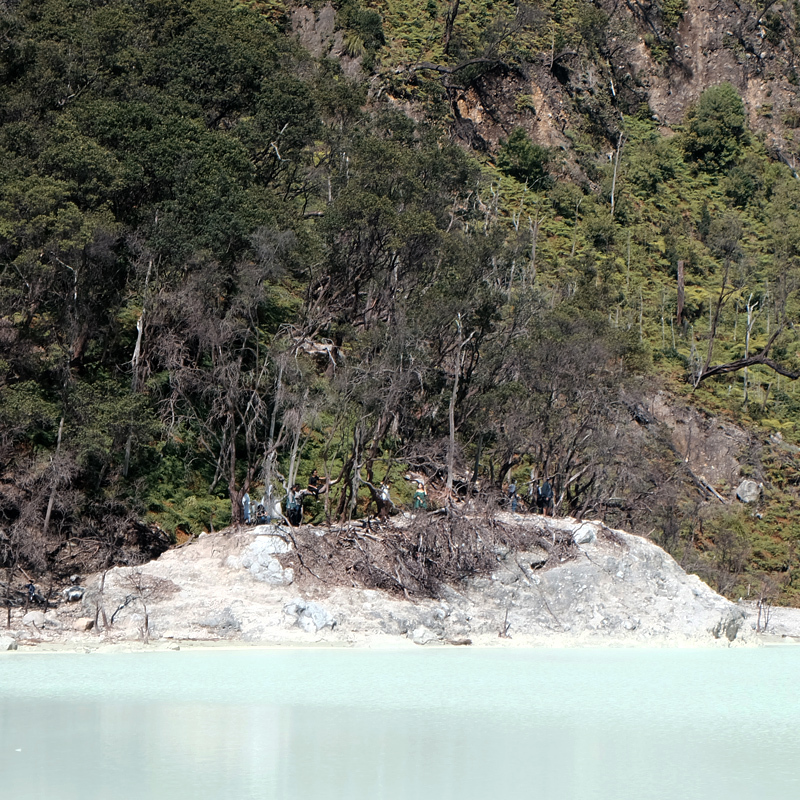 Of course now we know that that's due to the high levels of sulfur in the area. either way, your shots will be profile pic worthy! 10. 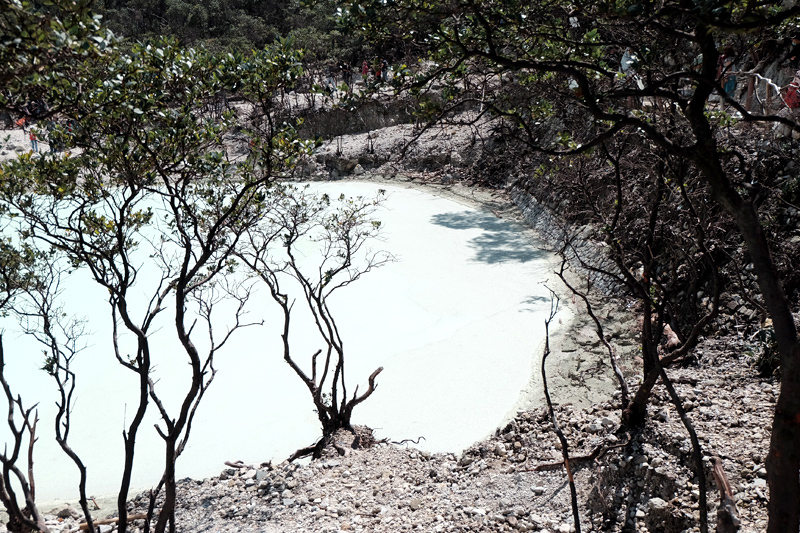 OR MY FAVORITE, SKIP THE LAUNDRY AND DIP YOUR WHITE SNEAKERS INTO THE SULFUR LAKE INSTEAD! Just kidding! Don't do it. 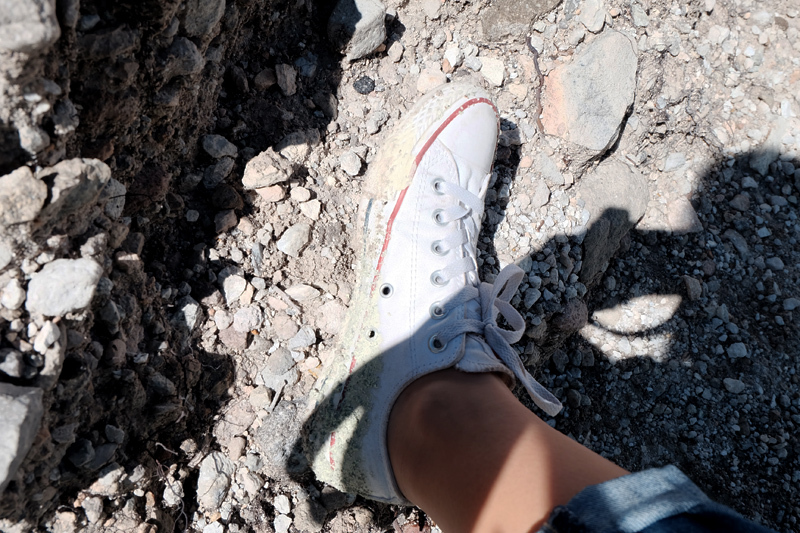 I did it by accident while trying to take a shoefie! I was mortified. Afraid to grow 3 toes! I quickly took my sneakers off and allowed them to dry under the sun for awhile. Voila! Back to being pristinely white! 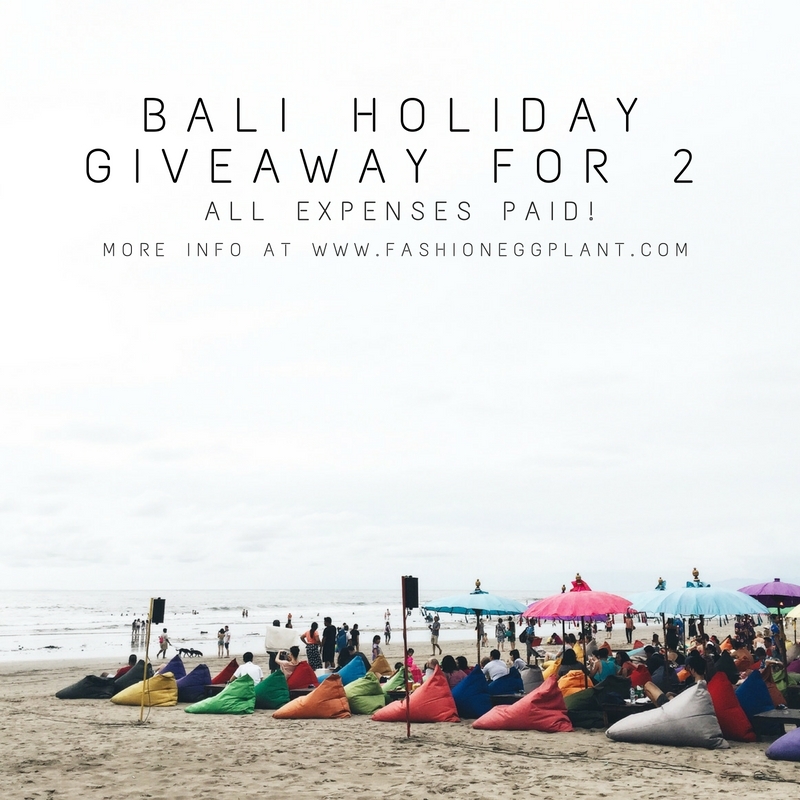 WHO WANTS TO WIN AN ALL-EXPENSES PAID TRIP FOR 2 TO BALI??? TO JOIN: Just click this link and answer a quick 10 question multiple choice test! 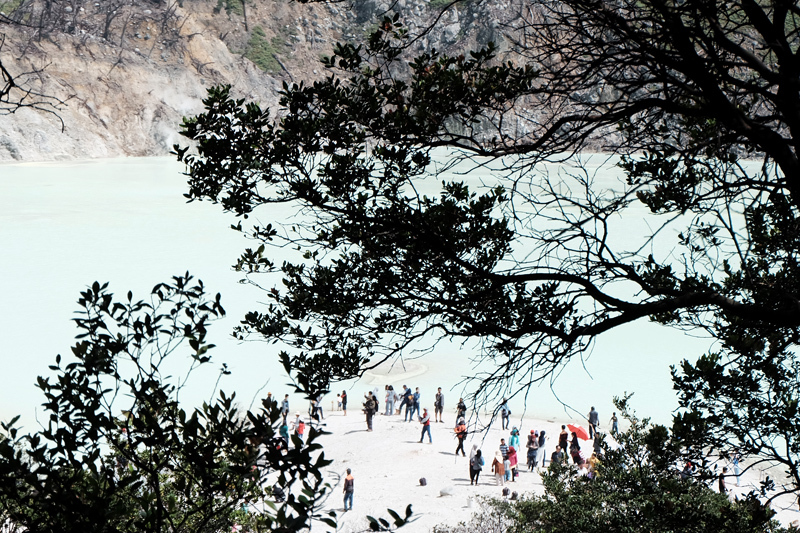 HOPE YOU ENJOYED READING MY 10 THINGS TO DO AT KAWAH PUTIH!